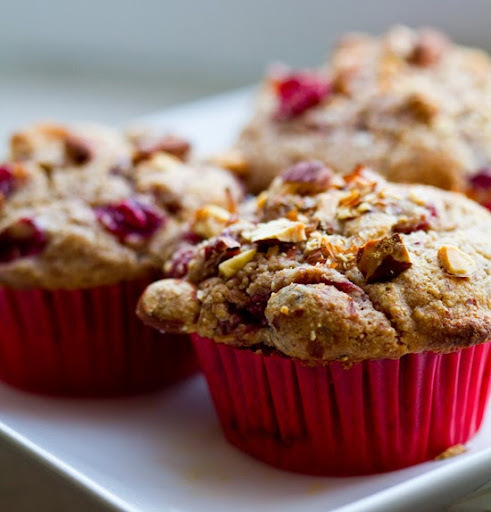 Cranberry Almond Swirl Muffins. Vegan Muffin Bliss! 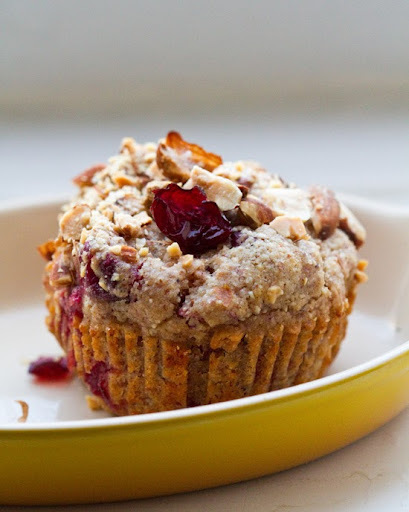 My Cranberry Almond Swirl Muffins will make you feel all warm and cozy inside! 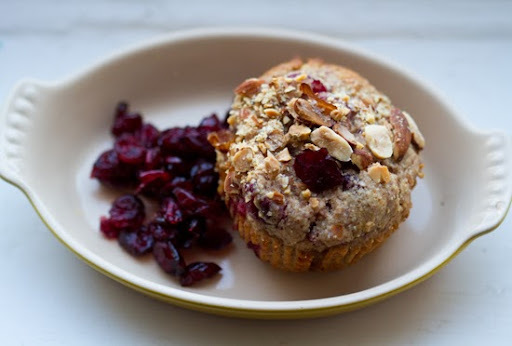 This vegan muffin recipe is the perfect use for any leftover cranberry sauce you may have in your fridge after the holidays - or anytime of year. Sweet-tart cranberries mingle with nutty, fresh almonds. A hint of cinnamon-cayenne spice brings the festive flavors to life. Inspiration is Everywhere. A few days ago I had a friend ask me about almond flour as a gluten-free alternative. Memories of my almond meal muffins danced in my head and I responded with enthusiastic raves about "almond meal" - similar to almond flour. Almond Meal. So my next shopping trip, I picked up a bag of almond meal and used it in this recipe. I love the hearty, butty almond flavor and texture. 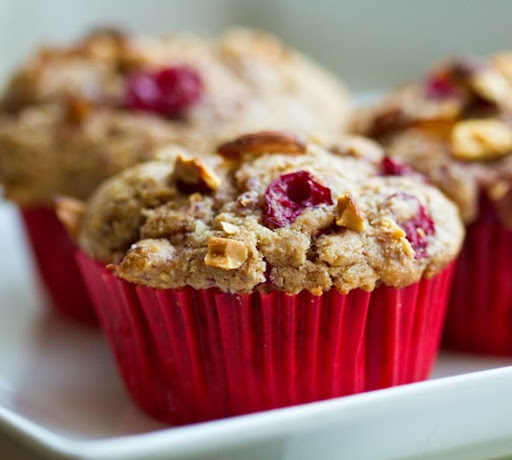 I replace about 1 cup of flour with 1 cup of almond meal in my 'basic muffin recipe'. Give it a try and get inspired by this versatile baking ingredient! Gluten-Free version. You can easily make this recipe gluten free by swapping out the flour and using a GF flour (your fave variety should work). Spelt flour would be a nice choice if you are spelt-tolerant. *My cranberry sauce was a thin consistency. Gelled or canned sauce won't work as well, unless you heat it up to 'melt' it a bit. You really want a sauce that is chunky with fresh cranberries, yet nice and thin so that it swirls into the batter. 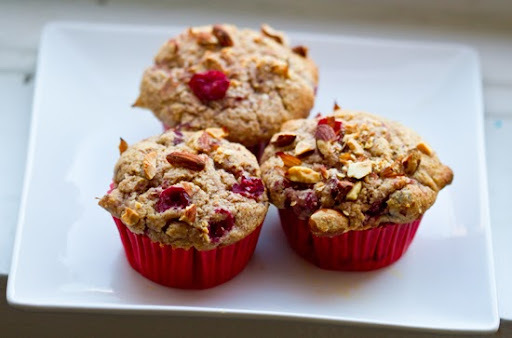 *You can probably use dried cranberries instead of frozen - however I'd rehydrate them in 1/3 cup of water before adding to batter - so that they don't dry out the muffins. 2. Add all the dry ingredients to a large mixing bowl. Toss well. 3. 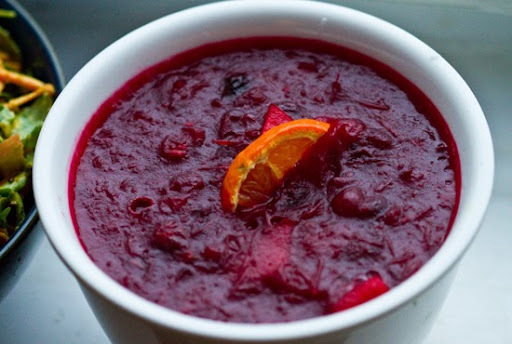 Add the wet ingredients to the bowl - all except for the frozen cranberries and cranberry sauce. Fold well. 4. Fold in the frozen cranberries. then swirl in the cranberry sauce. 5. Pour the batter into lined or oiled muffin tins. 6. 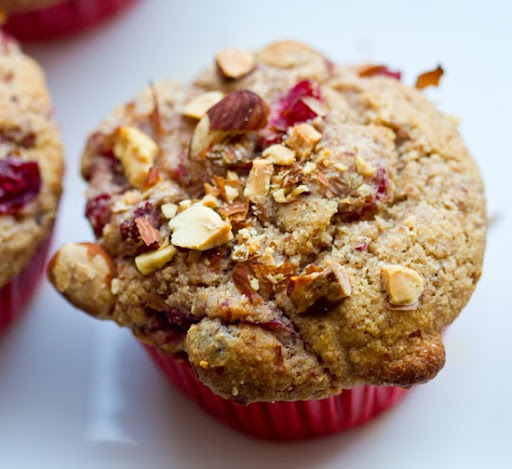 Sprinkle the crushed almonds over top the muffins. 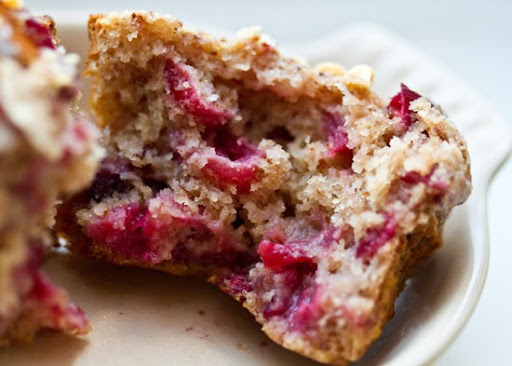 You can sprinkle a dash of sugar over each muffin as well (optional). 7. Bake at 375 for 22 minutes. 8. Remove from oven. Cool. Enjoy!